Regardless of what happens on Oscar night, The Breadwinner’s director Nora Twomey had plenty to celebrate when we spoke. Just two days before we spoke the film had won best independent animated film at the Annies (where it was nominated for an additional eight awards). It comes on the heels of many additional nominations for the film she made with her producing partners at their animation studio/production company Cartoon Saloon (where they produced their first Oscar nominee Song of the Sea). 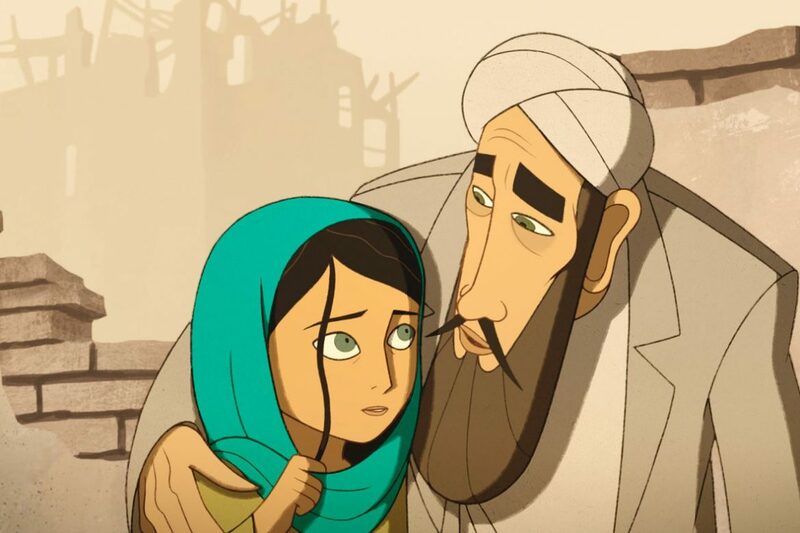 The Breadwinner is based on the best-selling young adult novel by Deborah Ellis, about an 11-year-old girl forced to dress as a boy and provide for her family in Afghanistan after her father’s been arrested by the Taliban. Lesley Coffin: How did you form Cartoon Saloon? Nora Twomey: We started it nearly 25 years ago, when we were all students who loved drawing. And Tomm Moore, a friend and colleague, wanted to set up a company for animators. It took us several years to make our first feature film, but in the meantime we did shorts and commercials just to keep the lights on, and that’s where you learn the skills. Not just the skills of animation and storytelling but how to set up a business. And nearly 20 years on, we’ve made many films and TV series together. 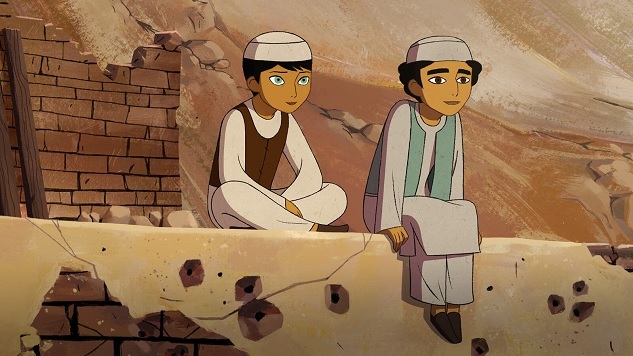 Lesley Coffin: What comes first when making a film like The Breadwinner? Do you find the project as something you personally want to direct and pitch it to your partners, or did it come to the company and you signed on to direct? Nora Twomey: I think every project has its own origin story. Myself or Tomm might find a project that we really like and bring partners onboard to work with. All our feature films have been partnerships, we’ve always found likeminded animation studios around the world to collaborate with. We had several animators around the world working on this. As far as picking material to develop, I read the book and loved it. I was so drawn to the character and felt very strongly that this was exactly the kind of project I wanted to lead. Lesley Coffin: I’m always so interested with animation, your crew of animators can be in different places around the world, but you manage to create a film which feels cohesive. How do you even start that process? Nora Twomey: I think we had over three hundred animators working on the film. But first things first, it’s me and the screenwriter talking about the book and deciding the elements which make it so special, and talking about what we can bring to it. The book was written in 2000, so much had just happened when it was written, and has happened since then, and we were thinking about how to address that. I started out with just one story-boarder, Julian Regnard who did the storyboarding on Song of the Sea. And slowly I brought on a very small team for about a year. I also happen to be a very involved director, so I recorded myself for the voice track and selected the temporary music score, which allows me to feel familiar with all aspects of the film and get to know the team. Once we’d created the parameters we were building the film around, the larger team ultimately has greater freedom to be creative and have a sense of ownership over their work, while still all going in the same direction. Lesley Coffin: One of the biggest concerns I’m hearing about the film is the question of age appropriateness of the material? The movie received a PG-13, which is unusual for any animated film, but the subject is very heavy. Nora Twomey: I thought of this film as having the same audience as Deborah’s book. She recommends the book for children 10 and up, and think we serve the same audience. I refuse to see animation as a genre unto itself, I hate the idea that animation should only be used to babysit a three-year-old, it can be a medium to access all different stories and emotions and intellects. I think the PG-13 rating is correct for this film, if your children are the age that they’re asking questions about the world they’ll inherit, they’re probably old enough to see this film. I’m the mother of two young boys and I made a film that I would want them to see. One that would entertain but also help them explore the more serious issues they’ll have to address as they grow up? Lesley Coffin: The film takes place in Afghanistan, did you look into the art and visual history for inspiration? Nora Twomey: We knew we couldn’t travel back in time to 2000 because so much had been destroyed and the Taliban didn’t allow the documenting of the city around them. So we just had to rely on conversations we had with people who had come from Afghanistan during the screenplay stage. We brought on an American-Afghan artist who could advise us as well. Oddly, if I had been able to travel back in time, I doubt I would have seen some of the things the Afghan people we spoke to pointed out. The film is built on their impressions. And the scenes of Parvana exploring her relationship with her father as a storyteller, and her own past, we went back and explored Afghanistan’s history as part of the Silk Road, when there were so many people coming through. The benefit of animation being a very slow moving art form is, it allows you to be more collaborative. I had a chance to ask so many Afghan people to contribute while it was a work in progress. Lesley Coffin: There is an animation style in the film during one of the dream sequence with a neon filter and what look almost like Claymation. What is that technique? Nora Twomey: We were referencing cutout animation, where animators put cutout pieces of paper on layers of glass. We knew with this film we couldn’t use that method practically, but we instead recreated it digitally with our partners in Canada. We really wanted that to feel tactical, even though it was completely animated. I’m proud of that sequence. Lesley Coffin: Were you an early adapter of the digital animation movement? Nora Twomey: No, I was very clumsy at first. But when we were setting up our company, we were able to take advantage of how much cheaper animation was becoming because of computer technology. Before, an animation studio needed tons of space and expensive cameras. We started with one computer and grew to four or five in a year or two, and we’ve been able to stay afloat. We had to change the way we saw animation, we used to do our work with a pencil and paper, now we use a stylist to draw digitally onto the computer screen. Lesley Coffin: I found the film to have a much warmer look that avoided the uncanny valley that I see in some CGI animation currently. Nora Twomey: One of the biggest things to remember when people talk about digital animation is, we are hand-drawing but we are just drawing onto the computer. We aren’t however using wire models where you set a formula for the character to move. We had to create each frame, but we just don’t have physical pages anymore. We wanted the film to feel like those old hand-drawn films I loved. I wanted a character with very few lines, the fewer lines you use to create a character the more universal they’ll be because you are adding fewer things to make them visually specific. We wanted the film to look beautiful, from the character’s eye movements to the backgrounds, so we could deal with this darker issues. I met Glen Keane at the Oscar nominees’ lunch, and he said one of Disney’s Nine Old Men told him “you don’t draw what a character’s doing…you draw what they’re thinking.” And he felt we’d succeeded at that, he felt we’d succeeded at expressing her interior world. Lesley Coffin: Animation still feels like a very small field within the film industry. When you go to the Annies or Oscar Lunch and see fellow animators, do you feel a comradery? Nora Twomey: Oh yes. Everyone loves drawing as a kid, but around nine or 10 kids give that up. But animators don’t they just keep going. So we share that childlike wonder in the way we process the world which is very unique. I love that I can work with fellow animators around the world, because we share this love of drawing.